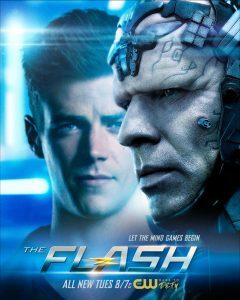 The Thinker/DeVoe storyline heats up with tonight’s episode of The Flash which is called “Therefore I Am,” and recently, we visited the Vancouver-based sets of The Flash for some insights from the cast about this cerebral character. Jesse L. Martin (Joe) also had a lot of praise for the actor who plays Clifford DeVoe, Neil Sandilands. 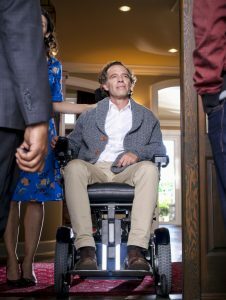 “The great part about that character and that actor, by the way, who is phenomenal, Neil, is the back and forth because he’s so smart. He’s so smart. He keeps all of us on our toes. Suddenly we all have to jump up to his level of intellect if we can. Joe’s pretty simple when it comes to things like that but suddenly I’m like, I’ve got to be smarter than this guy. Our interactions are like cat and mouse, teasing each other and playing very witty games with each other, but there’s a dark undertone to it,” Martin said. Martin is also happy that Joe is getting back to doing some detective work. 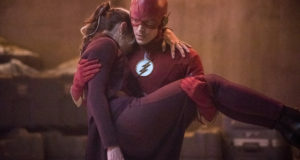 “Look, I love being part of Team Flash but I also don’t want the audience and the fans to forget what I actually do,” Jesse said. 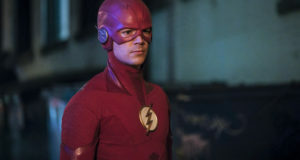 The Flash “Therefore I Am” airs tonight (November 21) on The CW. See video of the interviews below; official photos from the episode can be found here.